Arms: Argent a chevron Gules between three mullets Azure. Crest: A right hand holding a bunch of arrows all proper. Supporters: Two savages wreathed about the head and middle with laurel each holding a club resting against his shoulder proper. 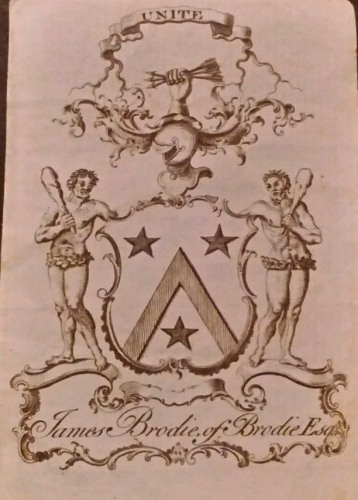 To see more recorded Arms for Brodie, visit my Brodie Armorial.